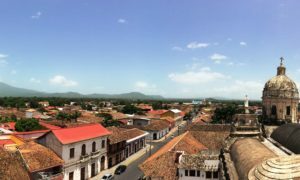 Our first week in Nicaragua we were staying in a homestay and taking Spanish classes at La Mariposa Spanish school. This week was not your typical holiday and was a lot of work. 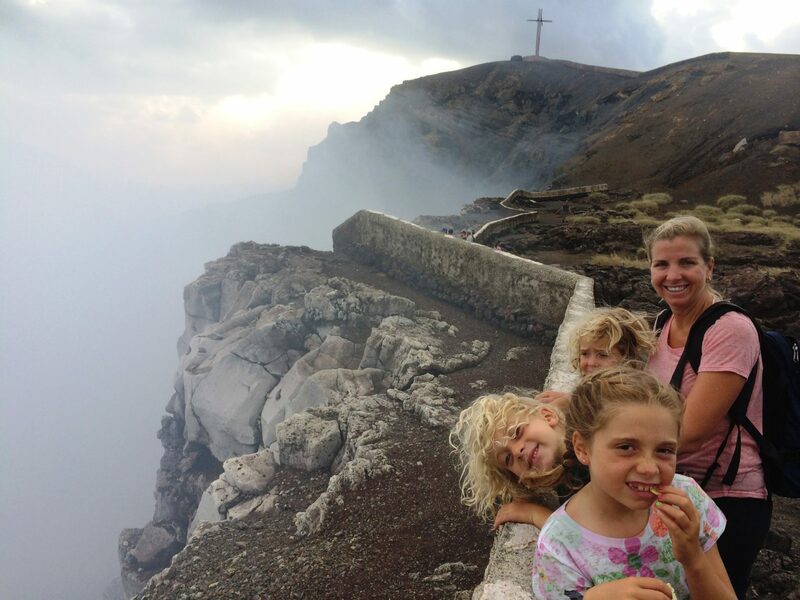 Our Spanish classes were long and intense and when we returned to our homestays in the evening, it was a lot of work to try to communicate with our families who spoke no English. In addition, we were living in fairly rustic conditions. 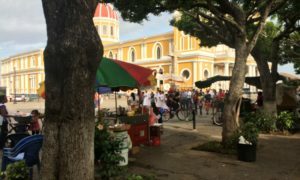 However, it was a fantastic way to see the real Nicaragua, to practice our language skills and appreciate all that we have. 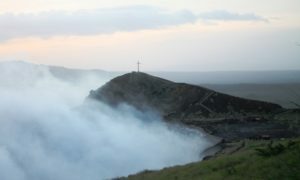 Read our full post on Nicaragua itineraries. We were at two homestays: Paul and I and the boys at one and my aunt Patti and Ella at another. Both homes were headed by women (no husbands seemed to be in the picture) and there were children at both homes, which are always an icebreaker. Our home was a multi-generational home with our host (grandma), her two children, her son—in-law and granddaughter. 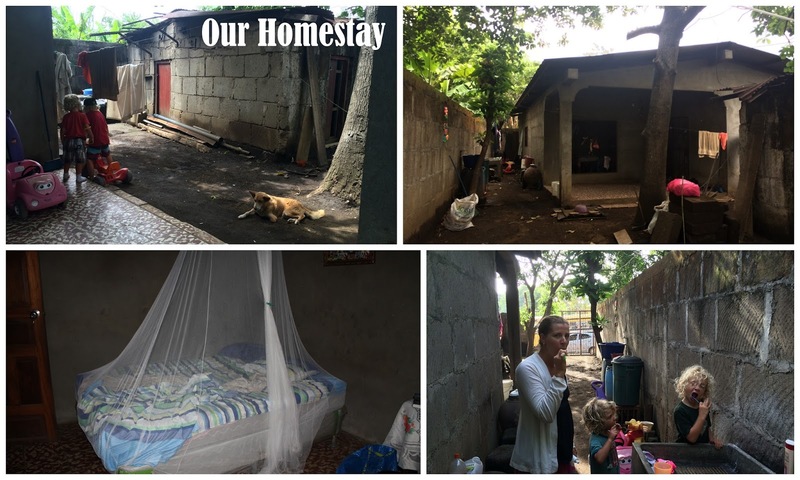 The homes are very basic and typical for Nicaragua – cinderblock walls, tinroof, windows without glass, no running water and very little furniture (although our house did have a flat screen TV). City water flows twice a week to the outside of the home and they collect extra in barrels to store for the rest of the week. We did have a western toilet in our house, but you had to dump a pail of water to flush it and the family mostly used the latrine behind the house. There were no showers; Nicaraguans generally take bucket showers as water is scarce. We ate breakfast and dinner at our host family’s homes, although rarely did they actually eat with us. Almost all meals included the typical rice and beans that is a staple here and our host would also serve eggs, chicken twice and even a taco. Gavin ate his drumstick one night and wanted more chicken (which of course Paul and I tried to shush) but our host caught on to what he was asking for and brought him out another piece of chicken, which I am sure resulted a family member going without meat that evening. There were so many things I wanted to ask our host family, but with our limited Spanish, our conversations were brief and basic (how was your day, the children are tired, etc). We struggled to sleep with the loud noises all night (street dogs fighting, birds chirping, trucks going by, roosters crowing, firecrackers going off) and the humid weather with mozzies pestering (we slept under mosquito nets). We also were constantly filthy with the mud from the dark volcanic soil sticking to us, but luckily the Spanish school had a shower we could use. class and for two hours a conversation class. Because it was 1 on 1, you couldn’t zone out; you had to really pay attention. My grammar teacher did not speak English, so it was quite intense. My one year of Spanish in university did slowly start to return and between Paul and I we can puzzle together a sentence. In our conversation classes we got to practice and also to ask our teachers questions about their lives and their country. The Spanish school’s purpose is to support the community and to spearhead environmental issues. On my last day of class, my teacher and I rode the microbus to one of La Mariposa’s projects – a bakery where I got to help roll out empanadas and enjoy some after. Paul liked to ask the about the Nicaraguan Canal project and what the locals thought about its construction. 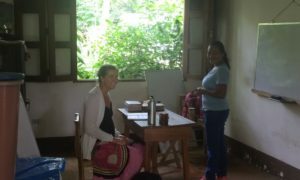 The children also took Spanish classes and each had their own teacher. Fortunately, there were about 6 other children at the school and so the kids got to do lots of games, songs, crafts together. I am not sure how much they really picked up, but Ella responds “Si” instead of yes to everything I ask now. The school truly was a fantastic experience and many people stay weeks and months there to strengthen their language skills. 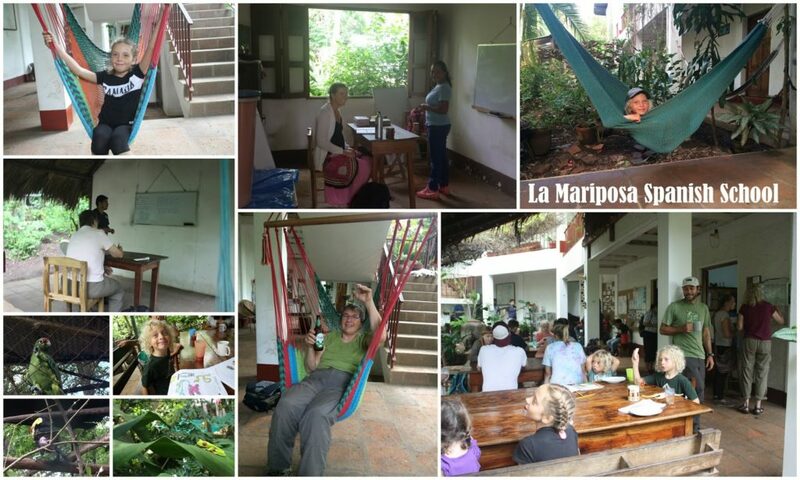 While planning this trip, we really liked La Mariposa’s mission and after experiencing it, we are inspired that all that Paulette (the British owner) has done. It is the largest employer in the area and has many strong development and environmental projects. In the afternoons, the school ran activities to many of the nearby attractions. 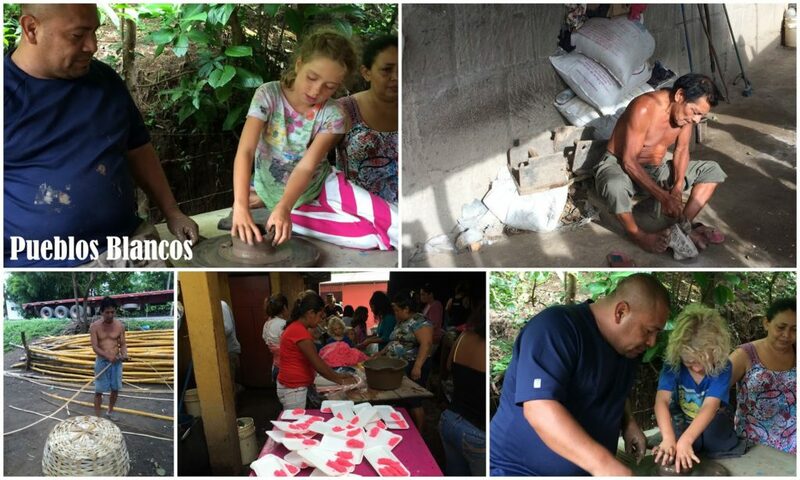 The highlights were visiting Masaya volcano, Laguna de Apoyo and the artisans in the Pueblos Blancos. 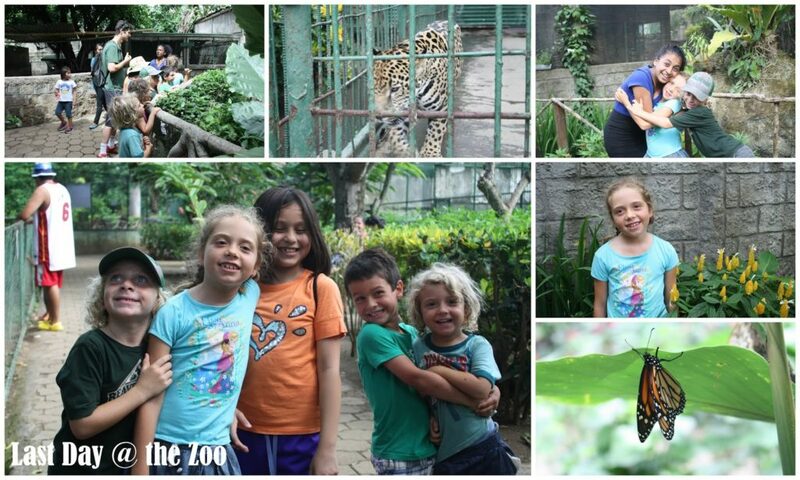 We also did some hiking and the children visited the zoo on their last day. We met some great families staying at the school and both the kids and adults enjoyed our time together. 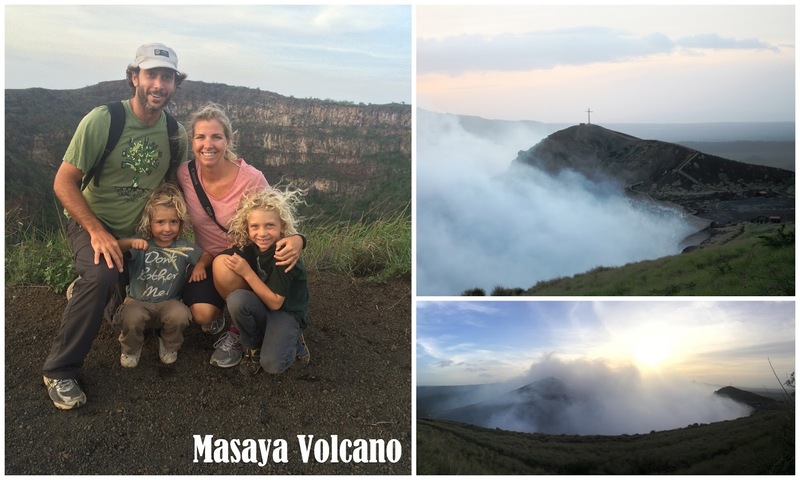 We visited the Masaya Volcano in late afternoon/sunset and it was beautiful to see the views from the top while trying not to inhale the fumes. While we were there we walked through a huge bat cave that was a lava chute. 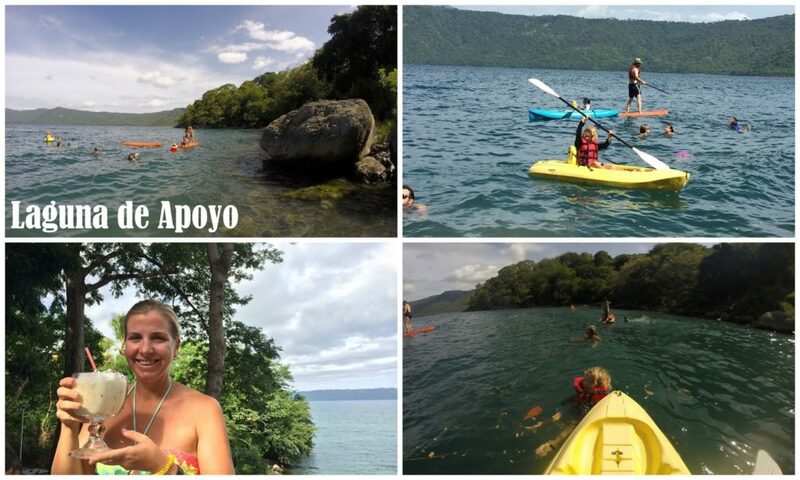 Laguna de Apoyo is a freshwater crater lake and it was cooling to swim in the water and explore by kayak and paddleboard. On the day we toured the Pueblos Blancos we got to see artisans making ceramics, baskets, volcanic stone carvings, and candy. The candy “factory” was in the back of a house where they heated everything over open fires and there were bees and flies everywhere. One of the other children got sick that night and we wondered if all the samples at the candy factory might be the cause. 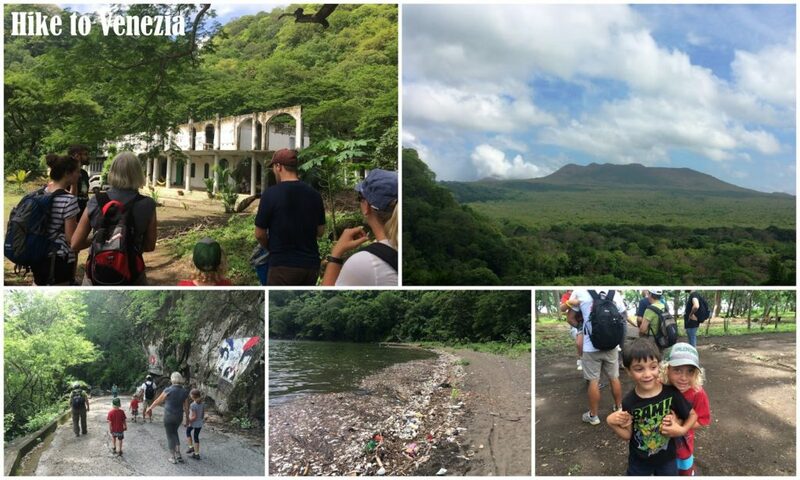 Our first week in Nica was quite the contrast to our time in the Bahamas. It was one of those experiences that wasn’t easy, but one we will always remember. 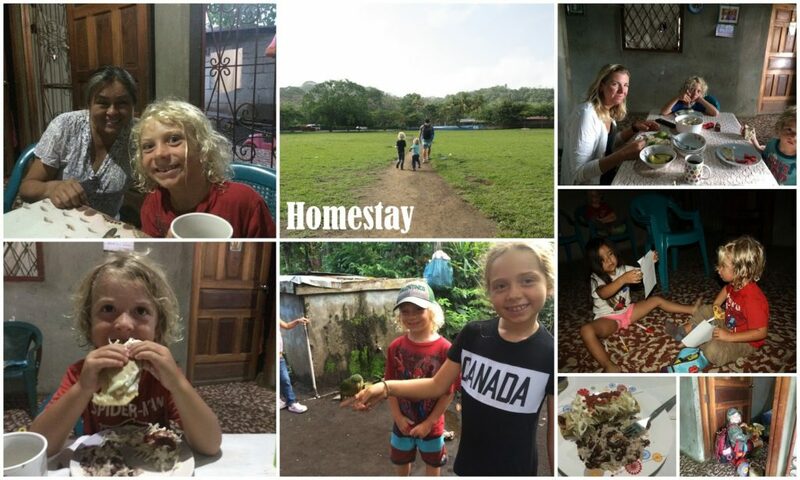 Staying in a homestay gave us amazing insight into the lives of everyday Nicaraguans. The spanish classes definitely bolstered our minimal Spanish and will hopefully help us over the next few weeks. From La Mariposa we headed to the colonial city of Granada, where we have been enjoying the creature comforts of a lovely guesthouse.